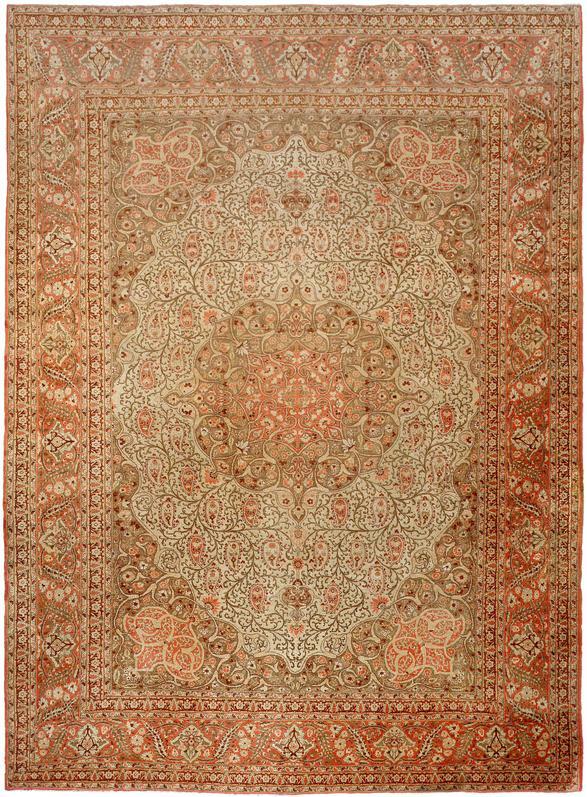 In carpets like this the old classical Persian tradition of carpet design achieved a whole new lease on life. The standard repertory of design elements – arabesque tendrils, palmettes, rosettes, medallions, cornerpieces, etc. were reconfigured to produce new compositions with oval fields, softer colors, and a more even, lace-like distribution of forms. This Tabriz is the elegant progeny of this new synthesis, in which the traditional acquired a distinctive new aspect that we have now come to prize as the typical antique Persian carpet.